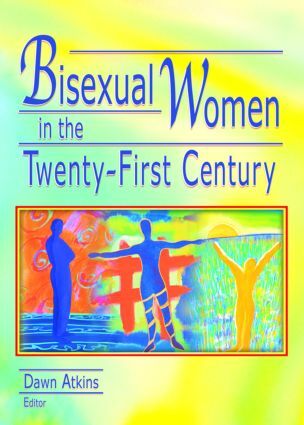 Bisexual Women in the Twenty-First Century reflects the brave new world of bisexual women's lives through an eclectic collection of articles that typifies an ongoing feminist process of theory grounded in life experience. The book's broad scope addresses a world created in response to lesbian-feminism, homophobia within the mainstream women’s movement, and sexism within the gay rights movement. The book includes Carol Queen's memoirs of the swinging lesbian scene in the 1970s, a critical examination of Alice Walker's novel The Temple of My Familiar, and a look back at the controversy surrounding bisexual inclusion in the Northampton Lesbian and Gay Pride March in Massachusetts in the early 90s. Previous groundbreaking work on bisexuality had to focus on breaking the silence around bisexual invisibility. This collection works from that foundation to explore the complexities and histories of bisexual women's lives. Bisexual Women in the Twenty-First Century is an essential source of social and political critique, and a vital resource for anyone interested in the complex dynamics of human sexuality, regardless of sexual orientation. Are You Bisexual? Are You Human? How Do I Get to a Bi-Bar?